A total lunar eclipse is a rare event — the last one occurred back in 2008. Even rarer is one that takes place on the Winter Solstice when the Earth is tilted furthest from the sun. The last one happened in 1638, over three and a half centuries ago, and another won’t happen on the winter solstice until 2092. I had been planning for this event for a while but due to unrelenting rain in Southern California, a rare event in itself, I had to seek clear skies elsewhere. And the closest place happened to be Tucson, Arizona. With rain and more clouds heading that way, I took my chances, packed the bags and drove 8 hours and almost 500 miles. With me on the trip was a 9.5″ telescope on loan from Shuan Monson. Thanks to him, I had a close-up and personal look at the moon, as you can see here. This particular photo was taken about 1 minute after Total Eclipse, when the Earth’s shadow completely covers the moon. 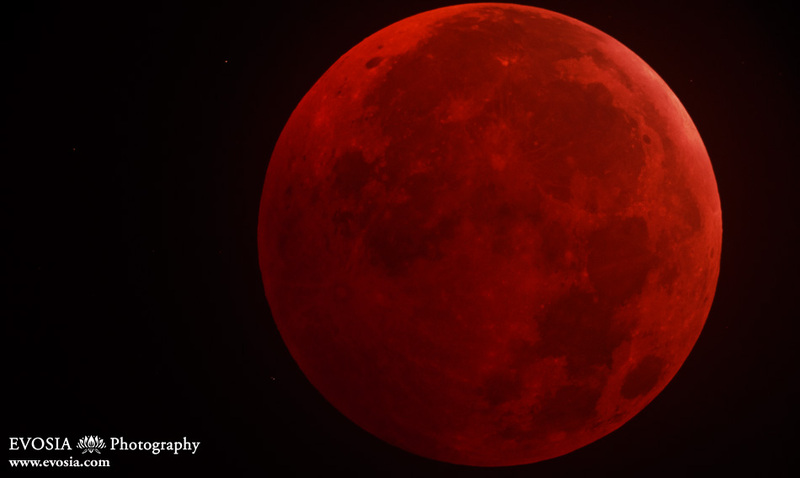 The moon turns red from leftover light passing through the Earth’s atmosphere. Posted on Tuesday, December 21st, 2010 at 7:08 pm. Filed under: Feature, Photography, Portfolio Tags: 2010, lunar eclipse, moon	RSS 2.0 feed.